Westbrook-John Arthur Thompson Sr., 89, passed away with his loving family by his side at Maine Medical Center on Monday, January 14, 2019. He was born in Portland, Maine on August 2, 1929 the son of Clayton Gillie and Annie E. (Amor) Thompson. John was raised in Portland and as a teenager John worked at the very first Shaw’s. He graduated from Deering High School in 1947. On December 23, 1950, he married the love of his life and his best friend Beverly (Havener). He went on to serve his country in the United States Army proudly serving in combat as an infantry solider during the Korean War. When he returned home he and Bev raised their family in Portland. John had a long and dedicated career as a professional truck driver, he enjoyed his career so much that he made it in to the million mile club; this milestone is reached when a driver reaches a million miles of accident free driving which shows to his passion and love for his job. He was a very devoted father and Husband who treasured his time with his family, he loved to go camping and boating, he also loved to go to Kens Seafood in Scarborough and indulge in their delicious fried clams. He was also a long time member of the VFW post 6859. 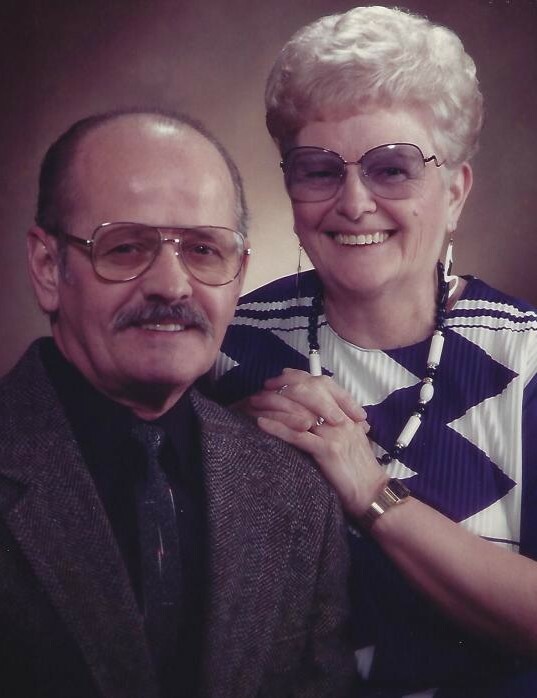 John and his wife Bev had a long loving life together which made it very difficult to separate the two of them; Bev joined her husband just two days after his passing when she passed away also in the company of her very devoted and loving children. John is survived by his three children John A. Thompson Jr., Bonnie Lee Wetmore and her husband Dennis, Beth Anne Simoneau and her husband Mark, also by four grandchildren Tami and her husband Darrell Perkins, Dan Wetmore, Cory Schildroth and wife Shelly and Kyle Schildroth, five great-grandchildren Lee, Colin, Taylor, Mya, and Chloe. He is also survived by a brother Donald and his wife Evelyn and one sister Eleanor Moore and various nieces and nephews. John’s family would like to extend a thank you to the wonderful staff at Maine Medical Center for their support and compassion in John’s last few days. Visiting Hours will be held on Monday, January 21, 2019, at A.T. Hutchins Funeral Home 660 Brighton Avenue in Portland, from 3 to 5 PM with a funeral service to follow at 5 at the funeral home. Burial will take place on Tuesday, January 22, 2019, at 1 PM in Brooklawn Memorial Park 2002 Congress Street in Portland, with Military Honors.